When Will The Bleeding in the Stock Market Stop? 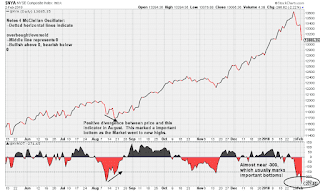 The Market has had a parabolic bullish move in 2018. Parabolic movements in the Stock Market, is something traders need to be very wary of (see Bitcoin's latest parabolic movement ended in over a 60% correction from its all-time highs so far). As a result, I am very cautious about the Stock Market's ability to keep continuing higher in 2018. 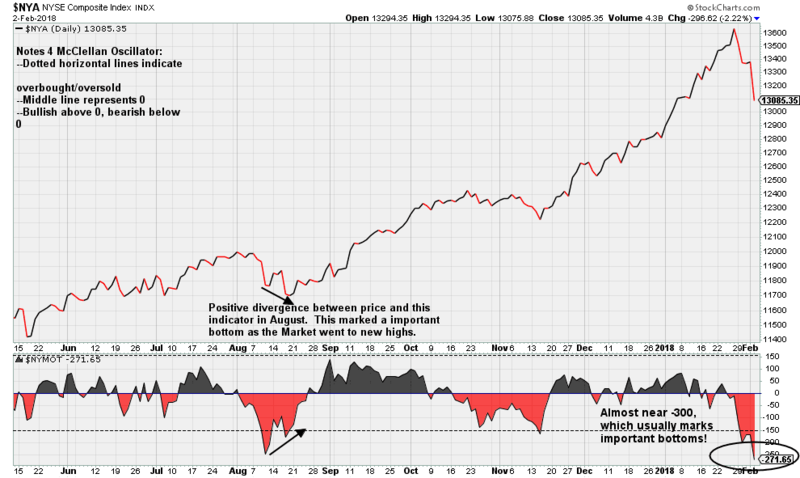 However, in the short term, I think the Market is near a bottom. Referencing the McClellan Oscillator above, on Friday the indicator closed near the rare reading of -300 (as of Friday -273). Which means a higher than usual amount of stocks participated in this sell-off, when it hits reading this low (which is rare), the market often hits significant bottoms. Take a look at the chart for previous examples marked in August 2017. Despite my bearish outlook in the Market, expect a nice bounce due to selling exhaustion as indicated by the McClellan Oscillator rating of -273.